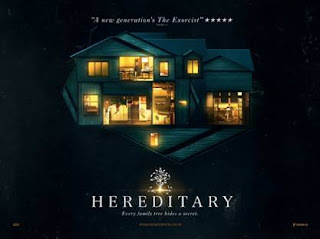 When Ellen, the matriarch of the Graham family, passes away, her daughter Annie (Toni Colette) and her husband (Gabriel Byrne) and their two children begin to unravel cryptic and increasingly terrifying secrets about their ancestry. The more they discover, the more they find themselves trying to outrun the sinister fate they seem to have inherited. Making his feature debut, writer-director Ari Aster unleashes a nightmare vision of a domestic breakdown that exhibits the craft and precision of a nascent auteur, transforming a familial tragedy into something ominous and deeply disquieting, and pushing the horror movie into chilling new terrain with its shattering portrait of heritage gone to hell.